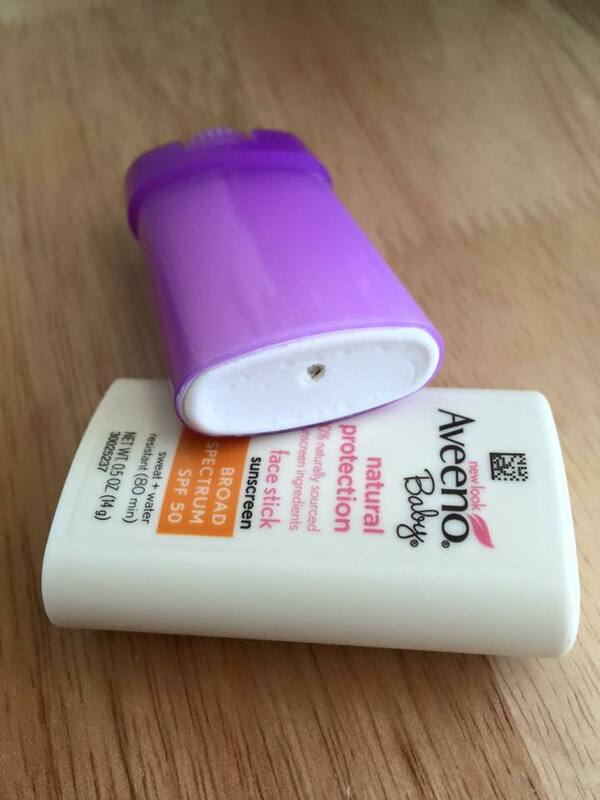 Aveeno has made it much easier for us to apply sunscreen to our squirming babies. Their body, arms and legs are pretty easy to apply sunscreen to, but they like to give us trouble when applying sunscreen to their faces. With this Face Stick, its a lot easier to apply on the neck and ears as well. Your baby will be protected with an SPF of 50. 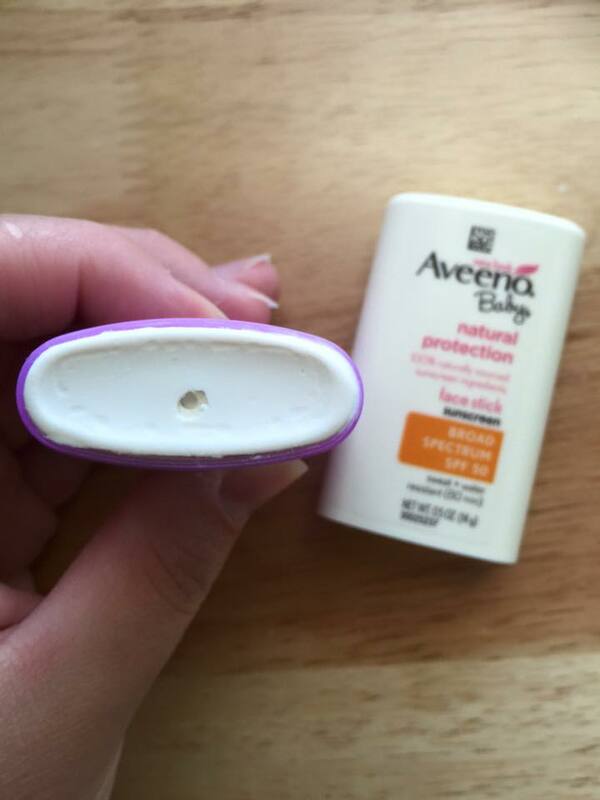 The sunscreen is sweat proof and water proof for up to 80 minutes! The sunscreen is great for sensitive skin. It's fragrance free and contains soothing oats. 100% of its sunscreen ingredients are naturally sourced. 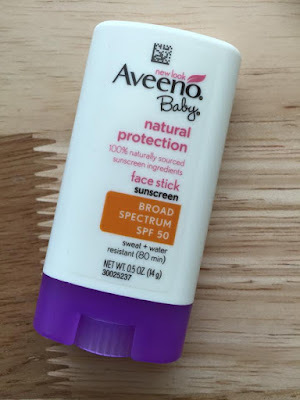 The sunscreen is hypoallergenic and oil-free! Apply generously and evenly 15 minutes before sun exposure. Ensure complete coverage to the area above the lip, nose and tops of ears. Reapply after 80 minutes of swimming, sweating and/or immediately after towel drying. *Should NOT be used on babies under 6 months of age. * I received this product in exchange for my honest review. All opinions are my own!